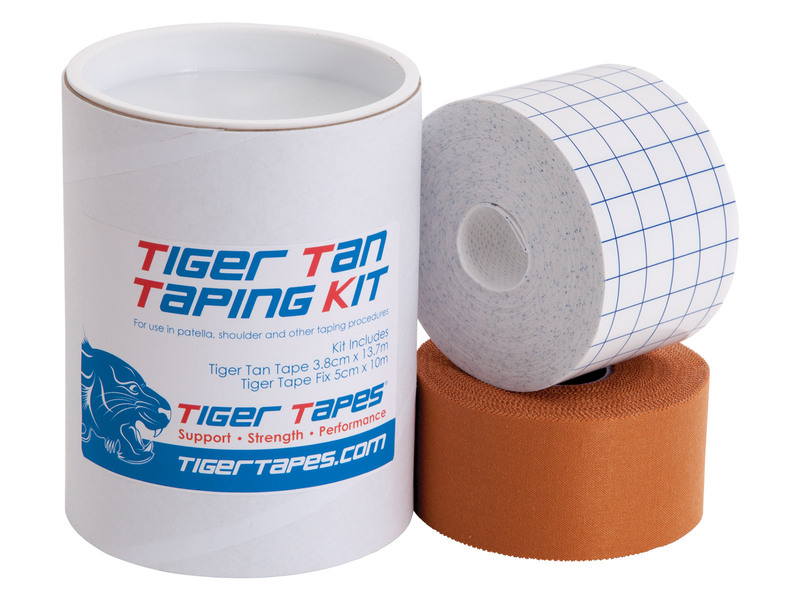 Buy Tiger Tan Taping Kit - Perfect for the toughest taping jobs. The Tiger Tan Taping Kit is excellent for patella femoral and shoulder taping procedures. Very good product, resists water and mud and held 2nd skin squares in place through difficult conditions.